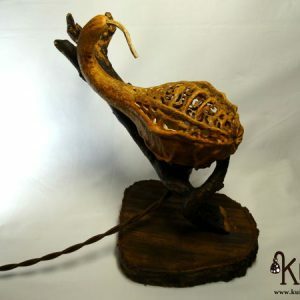 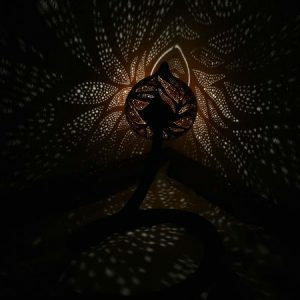 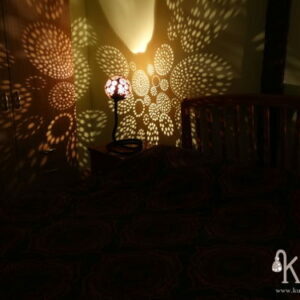 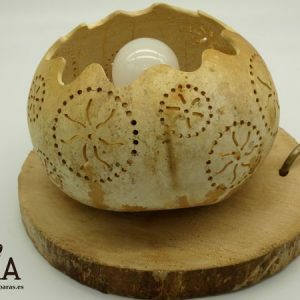 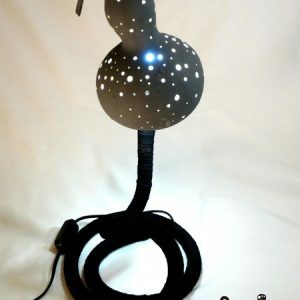 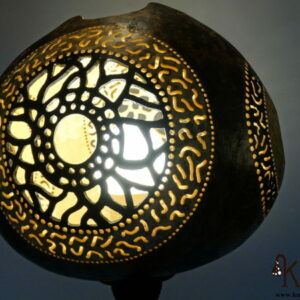 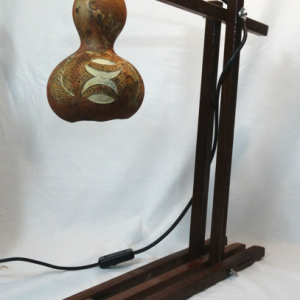 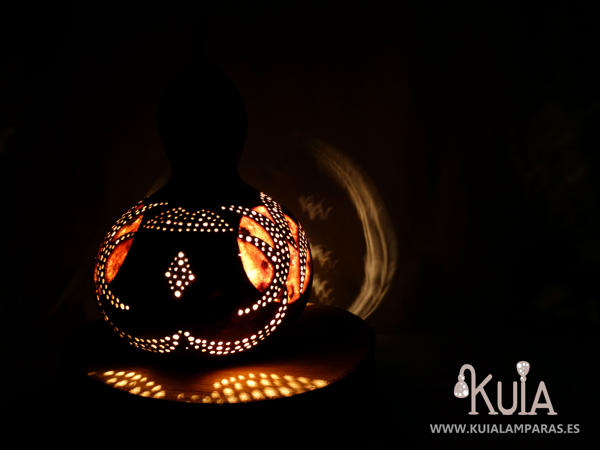 Decorative lamp 100% hand carved trying to achieve a sustainable and ecological production. 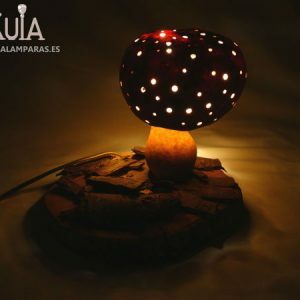 The base consists of a varnished wood cutting ash over a tulip gourd carved and designed to create some light effects that make this table lamp a decorative object for all lovers of ambient lighting.It is painted with red acrylic, and has some brushstrokes of a lighter tone that is what gives personality to this lamp. 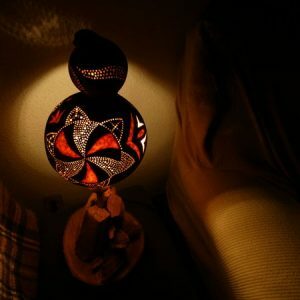 Once on certain parts take on reddish live with the shadows on the wall emits make this decorative lamp unique.It has a cover to access the bulb replacement.